For budget travellers, low cost airlines are the best thing since sliced bread. And no one does low cost like European super-cheap carrier Ryanair. I can split my travel life into two, neat segments – BR (Before Ryanair) and AR (After Ryanair) Thanks to their incredibly low fees (I flew to Tallinn for just £30 return fare last year) I’ve managed to fly to countries that two years ago, I’d never even heard of. But cheap prices don’t come for free. Calling Ryanair the world’s most hated airline is no hyperbole, and I truly believe there’s a spot in hell reserved especially for Mike O’Leary (right next to Hitler, Stalin and the guy from the Go Compare adverts.) 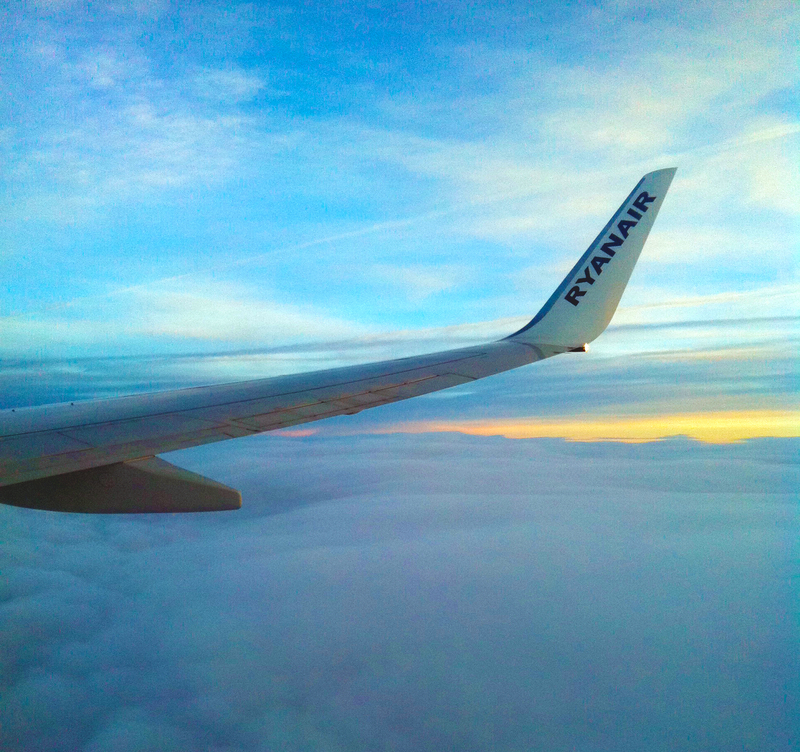 We’ve all heard the horror stories of what happens when a flustered family end up coughing up £1,000 in extras for their £100 flights, and the blogosphere is overrun with Ryanair haters. Here, or here, or here. So just how does that uber-cheap flight suddenly transform into a money-sucking black hole? The airline seems poised to rip you off at every moment of the process, from booking the flight (heaps of add-ons and hidden costs) to flying (how much did you say that lukewarm bacon sarnie costs?!) to stumping up extra cash for a transfer after landing in an airport nowhere near your destination. (But obviously Brussels Charleroi is nowhere near Brussels!) Flying with Ryanair can be an expensive business. If you don’t toe Ryanair’s (very confusing) line you could easily end up out of pocket. This is where most people get caught out. Ryanair are Nazis when it comes to carry-on baggage allowances. Every time you board you’re bound to witness some poor soul attempting the impossible feat of squishing a bulging bag into the dreaded bag check cage. No one beats the cage. You’ll need to stump up an extra £20 for every kilo overweight your luggage is. I’ve seen a grown man reduced to tears by stern-faced gate staff who refused to let him take his camera on board when it didn’t fit into his hand luggage. Solution: Play it safe and make sure you pack lightly. You don’t want to be the tomato-faced individual cursing at the cage. If you are checking in your bags, make sure to do it in advance, leaving it until you’re at the airport will likely cost more than your flight. Ryanair now also charges an extra £5 to add a bag to an existing booking, so try to check it in when you make your reservation. I fly with a Cath Kidson carry on which fits the restrictions perfectly (10kg maximum) and I’ve never had a problem with it. Small wheeled suitcases are another option. If you’re only gone for a few days a small backpack is the best choice. Last but not least, the Ryanair staff will force you to put your handbag/any extras into your hand luggage in order to board the airplane, so factor this in when you’re packing. They’re merciless in enforcing this. 2) I forgot to print out my boarding card. Online check in opens 15 days before you fly, and shuts four hours before departure. Print out outward and return flight boarding cards before you leave the country and keep them safe. If you can’t do that make sure to visit an internet cafe to print them out. Some hotels and hostels will print it out for you free of charge. 3) I had to sit alone – in a middle seat. Ryanair doesn’t allocate seats. If you’re travelling alone this won’t be a problem: sit back down, relax and wait for the stampede to die down before you board. However, if you want to sit next to your beloved, keep reading. Ryanair’s labyrinth of a website takes a herculean effort to navigate. I don’t blame anyone who races through, clicking blindly in a quest to reach the payment page. However, this approach can lead to you accidentally signing up for expensive extras. One of the most common traps is unwanted travel insurance. To avoid this add-on make sure to click ‘travel without insure’ from the insurance drop-down menu. 5) I put the wrong name in the passenger details – it’s £110 to change it! Depending on the severity of the mistake I’d try to let this one slide and hope no one notices. On a recent trip to Portugal I accidentally entered my boyfriend’s nickname (Jim instead of James) and somehow put him down as a Mrs. No one batted an eyelid. If you are unfortunate enough to get caught out at the airport, it’ll be £160 to amend the mistake. 6) A Mars Bar cost me more than my flight. If you’re new to the world of budget airlines I’m going to have to break some disappointing news. There’s no free food. Not even a measly plastic cup of lukewarm water. And with Ryanair being Ryanair they’ve made sure they’re charging close to a six-figure sum for the tiniest of portions. Here I invoke the spirit of BYOB. While bringing booze might be frowned upon it’s always a good idea to stock up on food and drink before you fly. You won’t be able to buy any drinks until you’ve passed through security, but you can always take an empty bottle and fill it up at a water fountain/bathroom tap once you’re in the waiting lounge. While prices will still be marked up in the shops after security, it’ll still be much cheaper than buying anything once you’re at the mercy of the flight attendants. Most Ryanair flights are pretty short, so if you can manage a few hours without getting the munchies you’ll be saving a few quid for some much tastier food when you land, because really, who wants to spend £2.50 on a miniature tube of Pringles? Ryanair charges an extra fee to pay with credit cards. If you have a debit card use that instead. If you can’t you’ll be slapped with a fee of 2% of the total transaction cost. Ryanair is notorious for this. They often fly into secondary airports hours away from the main area. Make sure to check and double-check the name of the airport you’re flying into to see exactly where you’ll be landing. A particularly horrible example of this is flying into Barcelona. Barcelona’s main airport is Barcelona El Prat, which Ryanair does fly into. However, they also list Barcelona Girona and Barcelona Reus on their website. Both of these airports are located over 100 miles away from Barcelona. The best thing you can do is either cough up the extra cash to fly in a more central airport (it’ll most likely even out if you factor in transfer charges for getting to your destination from an obscure secondary airport) or make sure you’ve got your onwards transport sussed well in advance. 9) They charged me to travel with my baby on my lap. Ryanair has just upped its fee for travelling with a child aged under two to £30. Also, be aware that if your child turns 3 before you return, you’ll have to pay for a full price ticket. For the cheapest flights book early in the morning, late at night or midweek. Just make sure that you’ve got your onwards transport sorted for when you arrive as some airports have limited transport available at off-peak hours. There’s no point saving £5 on a flight then having to fork out £20 for a taxi because the £2 buses stop running at 9pm. 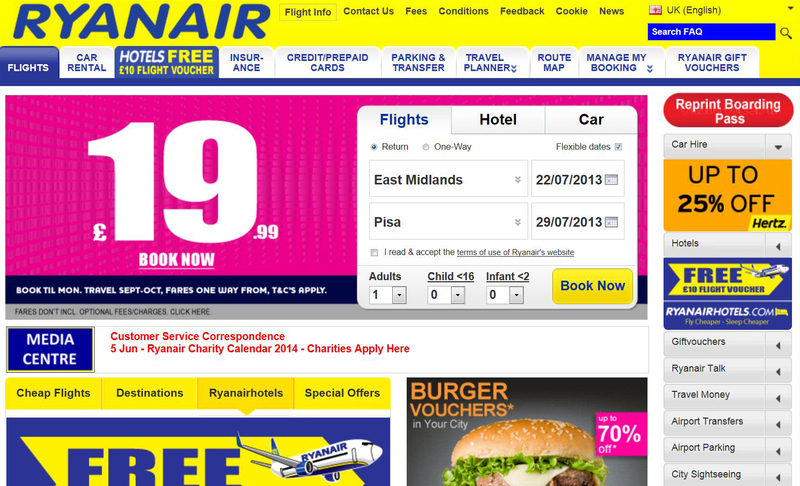 Let me show you exactly how this works by making a (fake) booking on the Ryanair website. Say I want to head from London Stansted Airport to Barcelona. Bingo. An initial fare of £59.99 sounds very inviting – flying out on a Friday during peak season – I couldn’t get a better deal! Or could I? First there’s the compulsory EU 261 Levy. That’s an extra £2.50. Then there’s a Web Check In fee, that’s another £7. But we’re not done yet. An ETS levy of £0.25 is next. And we’re still adding on more – now there’s an Administration Fee of £7.00. Oh, and there’s the real kicker, the rather vague sounding Taxes/Fees, which piles on an extra £34.17. And say I want to pay with my credit card. That’s £2.22. And say I now want to check in a 20kg bag. That’s another £35. Priority boarding is going to set me back another £14. If I decide to reserve a seat, that’s £10. Leaving my initially cheap flight of £59.99 nothing but a distant memory. And that’s before factoring in that Reus is actually over 100km away from Barcelona and a transfer will set me back at least £20! If I’m arriving outside peak times, a taxi is close to £120! Flying with British Airways, on the same day is £158 all inclusive. That includes complimentary on board food, flying into central El Prat, taking hand luggage and one pieces of checked baggage weighing up to 23kg and one handbag. So there you have it. 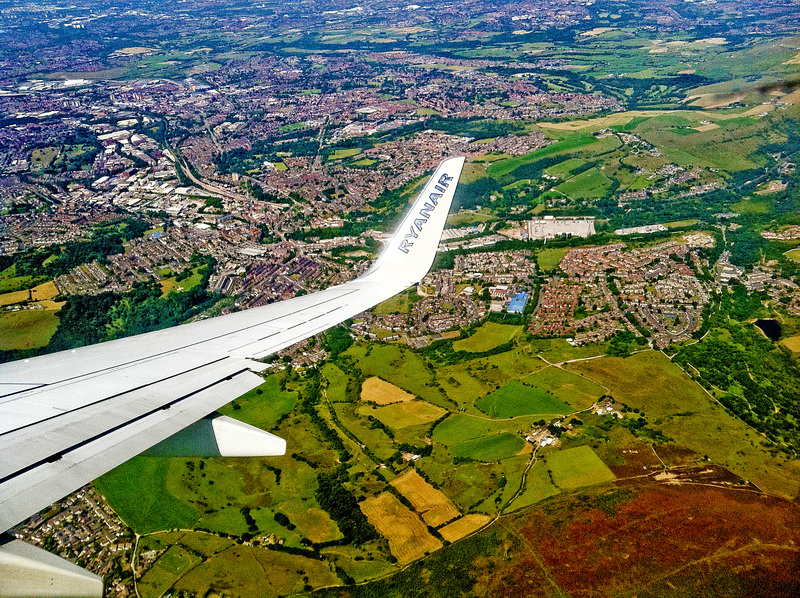 A complete guide on how to fly Ryanair without getting ripped off. 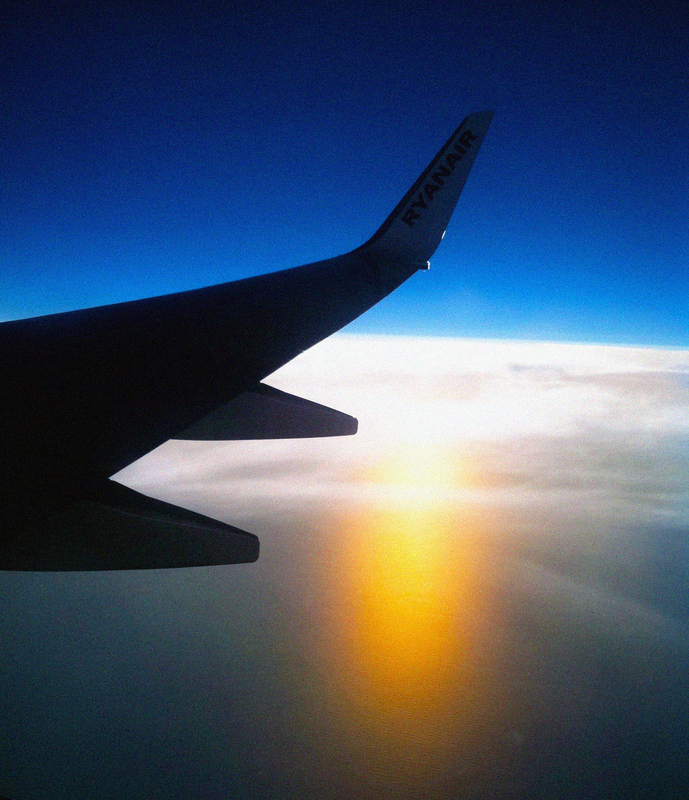 Have you ever been caught out by Ryanair’s fees? Or do you have any tips and tricks I haven’t listed – let me know! Tags: Flying, Ryanair, travel advice. Bookmark the permalink. Previous post ← I love Lagos – a backpacker beach town mecca. Wow, I knew there was a reason I’ve never bothered with RyanAir. This is a great post, and a salutary message to anyone who thinks it is possible to genuinely fly for almost nothing. These types of airlines really prey on people who don’t fly often, and therefore are just not travel savvy. Thanks for posting such great advice. Oh my goodness!! This is the most helpful thing I’ve read in a while! Thank you!! Bookmarking this because we are moving to Scotland in August and are hoping to travel lots while there! Excellent advice! One more thing. If you want to buy some souvenirs on your way home Ryan air will let you have an additional bag if it’s one of those yellow ones bought at an airport in duty free. It’s a bit more expensive to buy it in the airport but worth it if you don’t have the room in your luggage (or if you want to buy a bottle of wine and only have a small carry on). I have just printed out our boarding cards to go to Faro from Bournemouth – but what does someone who does not have access to, or know how to use, a PC do ? just nearly fell foul of the £110 charge for change of name as one person in our party couldn’t come the initial flight cost 97.50 but i managed to secure a brand new flight for the single flyer for £68 pound leaving an empty seat free. they say they don’t do refunds on cancellations so the seat remains empty. but wasn’t even offered this option was told it is in there terms and conditions this standard price. my advice is check this option before you agree to this rip off.cheaper to book another seat. Oh Ryanair! I’m glad you managed to get it sorted in an alternate way – I think some people feel trapped and don’t consider other ways of dealing with their sneakiness.